The first trailer for the Dora The Explorer live-action remake movie has been released. The film based on the Nickelodeon animated series stars Isabela Moner, Eugenio Derbez, Michael Peña, Eva Longoria, and Danny Trejo. Dora and the Lost City of Gold will be released in August. Having spent most of her life exploring the jungle with her parents, nothing could prepare Dora for her most dangerous adventure ever – High School. 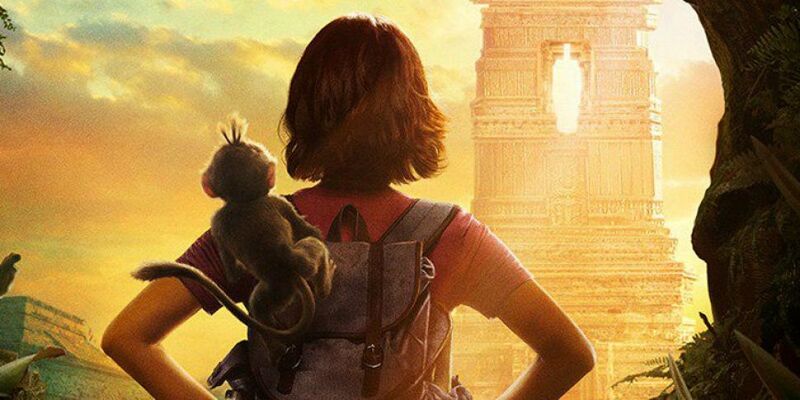 Always the explorer, Dora quickly finds herself leading Boots (her best friend, a monkey), Diego, a mysterious jungle inhabitant, and a rag tag group of teens on a live-action adventure to save her parents and solve the impossible mystery behind a lost city of gold.